Nowadays, no matter in which industry a startup is born, its founders may rely on one fundamental truth: they will be Googled. And with this truth comes a universe of opportunities. As a common code of conduct, a biotech startup operates in a low visibility mode before monumental milestones such as license agreements, collaborations and fundraising rounds are achieved. But such delay to establish a company brand are much too unnecessary in the context of modern tools, and result in a virtual invisibility of the company when exposure is most crucial. Any due diligence process will most certainly begin with an on-line search, and in such instances perceived value of the company will inevitably be dictated by the amount and the quality of information it is associated with. The moral of the story is: brand building can, and must, start at day zero. Companies are realizing the immense benefits of online visibility, and the importance of building such exposure alongside company growth. There are certain unique ways in which a biotech can easily strengthen its presence in the “Googlosphere”, and build immense value around itself through the quality of the information it generates. 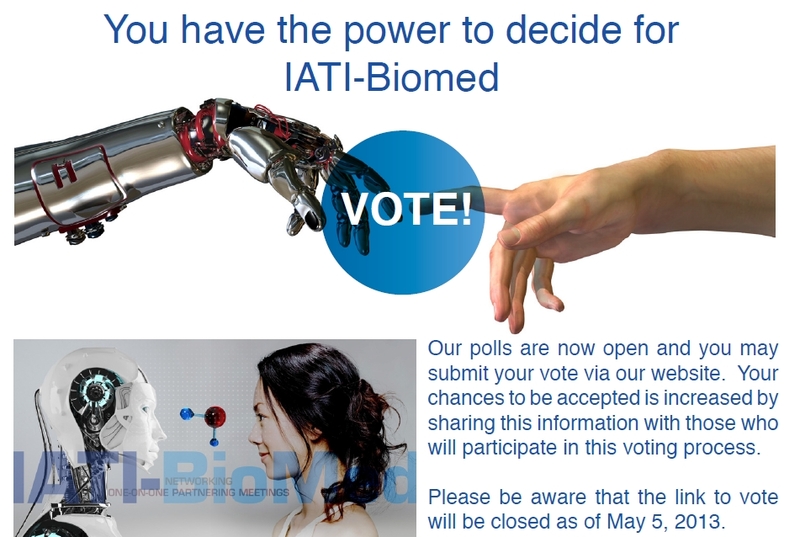 Above was one of Bioassociate's abstracts which is competing for a chance to be presented at one of Israel's biggest and most prestigious conferences - the IATI (Israel Advanced Technology Industries) Biomed conference in June. We need your help to get our abstract to the top of the speakers' list, and if it is, we shall publish it on Pharmaphorum and on our blog. Every vote for our abstract will mean the world to us! The above abstract is number 199 and can be found in the "Business Model" section. nice.....inovative post.This information is very nice and very important for those,who establish new business.It’s always useful in business. brand strategy is about developing a road map for the brand and it is about setting tasks and articulating the way forward.